First, sumeria from Revier games followed by Titicaca (cwali) renewing my grudge match with William Attia. By grudge match, I mean trying to beat him for the second time in anything in about five years. I did manage to win. There goes my chance at a signed limited edition of Caylus I guess. It’s better than werewolf. You’ll need an Android app to play it. That’s ten minutes of my life I won’t get back. But it’s better than getting my eye poked out with a sharp stick. And way better than regular werewolf. Then, it’s time for the app. Everyone closes their eyes. The mayor is asked to open his eyes and then to tell the computer what his hidden role is. Then the mayor chooses the secret word for a list on the screen. Then, the mayor closes their eyes and the seer gets to see the magic word. The seers then close their eye and then the werewolf gets to see the word. What follows is a timed round where everyone is posing questions to the mayor – eventually trying to guess the magic word, but generally trying to get more information about it. The mayor can only answer the questions with yes, no or maybe tokens. The mayor is NOT allowed to speak. During this process, the seer is trying to steer the group to the right answer – but without revealing that they know the word. The werewolves are trying to cause the players to not guess the word. The winning conditions are varied and a little confusing. If the group guesses the word correctly, then the villagers are likely to win. But before their win is confirmed, the werewolves reveal themselves and then get to vote on who they think the seer is. If they correctly vote for the seer, then the werewolves win instead. If the group does not guess the word correctly, then the werewolves are likely to win. But before their win is confirmed, the villagers get a vote, and if they are able to identify a werewolf, then the villagers win. Overall, it’s a fine activity – and this is my usual rating for these social deduction games. 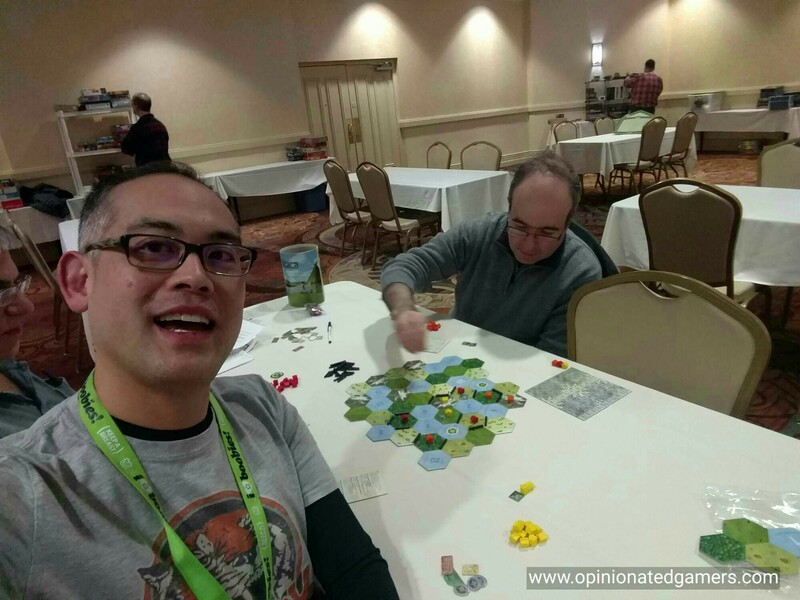 In this case, I’m happy enough to play along with the group, and I enjoyed my five or six games of it. Total time is maybe 6-7 minutes per game. This is never the sort of thing that I’d volunteer to pull off the shelf – but like One Night Ultimate Werewolf, the shorter duration and ease of play (due to the app facilitation) makes it passable. The players in our game that liked Werewolf all seemed to enjoy the addition of the word game to the social deduction activity. I expect this to go over well with those who are already inclined to this sort of thing. 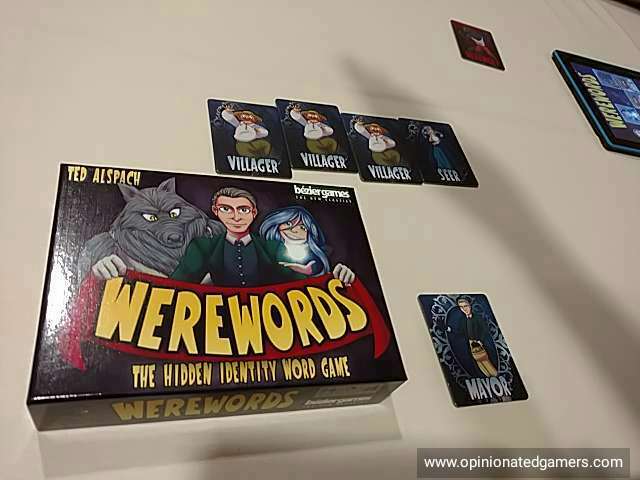 Like you, Dale, I am not a big fan of the social deduction genre, but original Werewolf is the most difficult for me to enjoy, so I am always looking for more tolerable alternatives to offer when someone wants to play that. Resistance and One Night Ultimate Werewolf have been decent alternatives for me, and I am sure this would be, too.